I've posted about this before within a thread, but no one has since replied. I'm hoping you can do a very simple test for me so I can determine if my bike is 'normal' or there is a faulty part. The issue is that while riding at night, every time I apply the front brake, the headlight and dashboard both dim momentarily. It is quite annoying. I have deduced that this is caused by the ABS pump (under the seat) causing a voltage drop in the bike's electrical system. The dimming is more noticeable with the engine running. 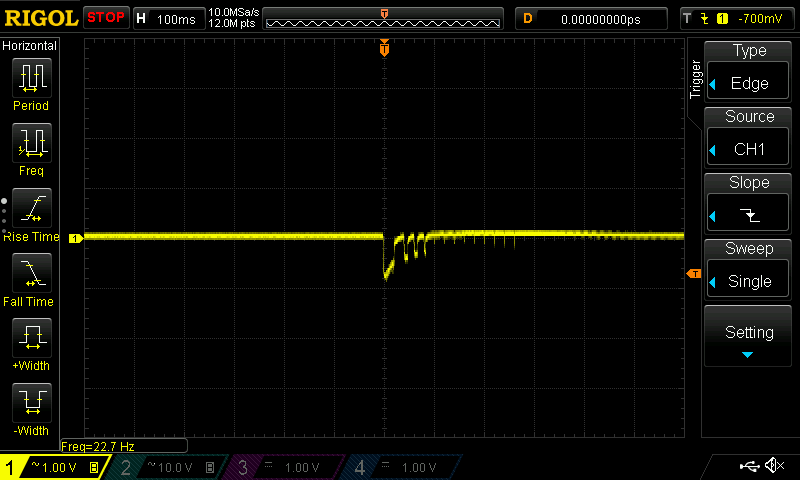 As you can see, there is up to a 1.5V drop lasting 1/10th of a second when the brake is applied. The result is a *flicker* whenever I press the brakes. I would be grateful if other owners could test their bike and tell me if they notice such a flicker. 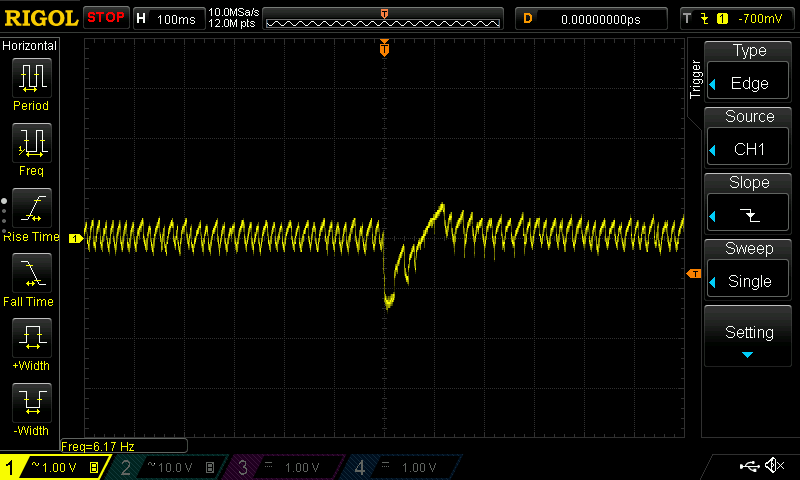 If you have the tools to measure voltage drop, that would be a plus! 1. Put the bike on center stand in the dark. 2. Turn the key on and start the engine in neutral. 3. Use your foot or a helper to slowly rotate the rear wheel (to simulate the motorcycle moving). 4. Pull the front brake lever firmly. You should hear the ABS pump cycle. 5. Watch the dashboard for flickering. Can someone take 2 minutes to please try this? According manual ABS and traction control only start working when a certain speed is reached i.e. when the light on dash go Off. No tools to make the measurements, sorry. The ABS pump still runs due to the linked braking system. This happens regardless of it being initialized or not. You don't need any special tools, it's simply a visual check. Mine "flickers" a bit too...My mate also has an XR and it also does it...along with a few other friends with S1000RR's...seems fairly common to me. All the above machines are '17 models too if it makes any difference.. Sounds like it's not at all uncommon. If anyone else wants to chime in please feel free to do so. It may be pretty common..I just don't really know Have only sampled a couple of bikes....but I've not had a related issue..!